After RSS ideologue Dinanath Batra recommended a host of changes to the National Council of Educational Research and Training ( NCERT) in its textbooks, including removal of Rabindranath Tagore, West Bengal Chief Minister Mamata Banerjee asked as to how can someone talk about removing a person who is the "pride of the nation". "I think very soon they will remove everyone from the country. How can one even talk of removing Tagore from school text books? This is just rubbish. He is the pride of the world everybody respects him. 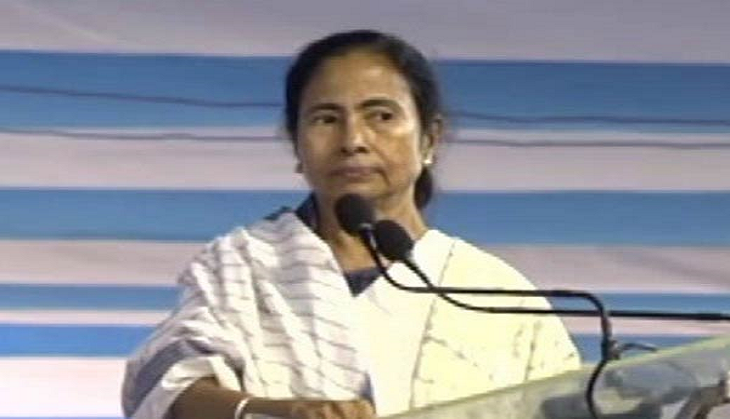 I think nobody is supporting it," Mamata told the media outside the Parliament. Batra, who the heads Nyas, said that various things ought to be removed from the text books referring to Mughal emperors as generous, former Prime Minister Manmohan Singh's apology over the 1984 riots, and the sentence that around 2000 Muslims were allegedly killed in the Gujarat riots. The recommendations were about five pages which highlighted the portions of what to be removed. Earlier, Nyas had campaigned against A K Ramanujan's essay Three Hundred Ramayanas: Five Examples and Three Thoughts on Translation from the University of Delhi's syllabus. They had also moved court to demand removal of The Hindus by Wendy Doniger.